Listen to our very own Blanca Smith explain why every Oakland voter should vote yes on Measure Z. 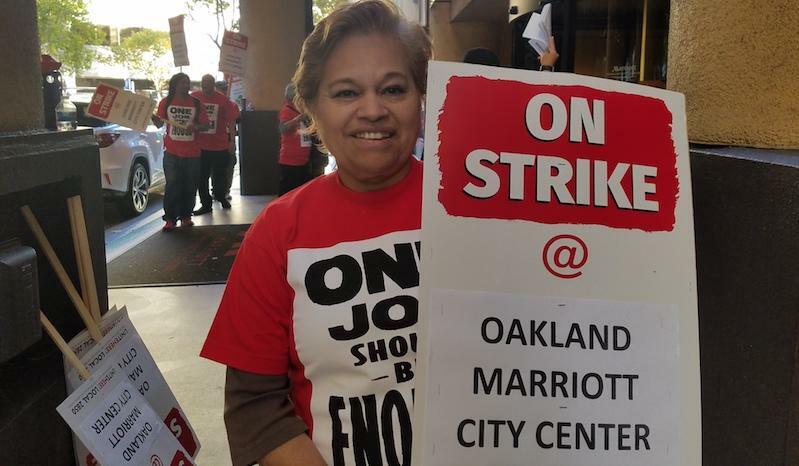 And she’s walking the picket line at the Oakland Marriott City Center while she’s at it! Local 2850 Endorsements – November 2016 Oakland Measure Z passed!